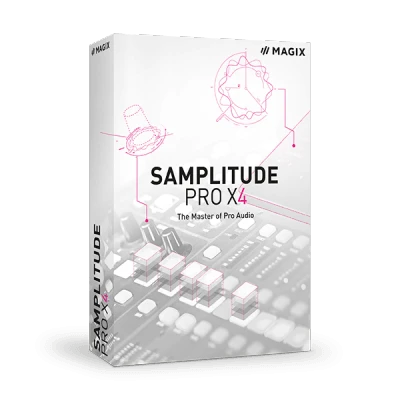 Samplitude Pro X4 provides the highest level of quality for recording, mixing and mastering tasks, as well as for music production. The new version contains an impressive range of virtual instruments and high-quality mastering and restoration effects as well as new, practical types of workflow. The software features significant improvements to functions such as automation editing of effect parameters and to the MIDI editor. The entire plug-in operation has been redesigned for a more efficient workflow. In addition, performance and multicore operation have been optimized, with Samplitude now offering support for CPUs with up to 32 cores. Automation for track parameters such as volume, panorama or VST effect parameters can be displayed and operated in lanes inside the audio track. Fast access to all effect and instrument plug-ins. The workflow has been designed to enable users to start working with a plug-in in the quickest time possible, only using keyboard commands. 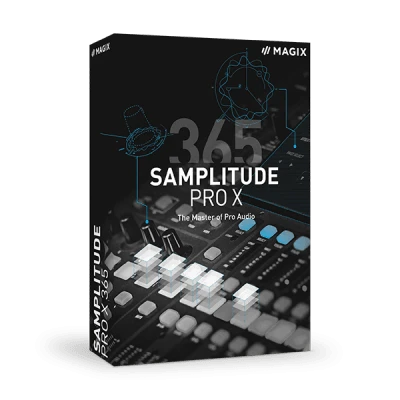 Access to MIDI options within a track has been significantly improved in the latest update for Samplitude Pro X4. As well as a clearer and enhanced layout, the update allows for direct access to essential functions when working with MIDI tracks: Direct selection and exchange of virtual instruments, easier operation of track transposition and a direct overview of active MIDI channels for all MIDI tracks. Easier, more customizable, more intelligent: Improvements to MIDI functionality include simplified plug-and-play behavior for external MIDI devices. Editing MIDI automation data is now easier and more seamless than ever before. Intelligent features for smoothing and enhancing automation data results in smoother transitions within your compositions. 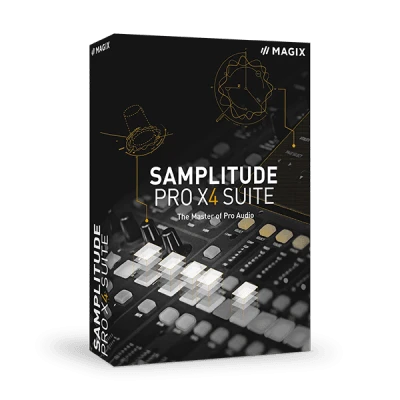 New functions in Samplitude Pro X4 have been developed in close collaboration with our users and have been seamlessly integrated into the existing workflow. The latest update offers even more efficient editing: Surround audio files can now be edited as multi-channel wave objects in multi-channel tracks. In addition, individual channels can also be customized. During an audio recording with multiple tracks, all clips and objects can be embedded in a single multi-track file. The resulting interleaved audio files can then also be edited on Surround tracks. All effects in Samplitude Pro X4 can now be copied between master track and audio track as well between audio objects and tracks. To ensure optimum performance for recording and playback, the entire multicore operation in Samplitude Pro X4 has been enhanced. The new ASIO boost priority option ensures that CPU power within a system prioritizes audio processing in Samplitude, which guarantees absolute reliability during recording and playback. New function "Follow track panorama" enables the linking of the pan settings of an aux track to the track to which it is connected. This is ideal for easier positioning in the stereo field during mixing.